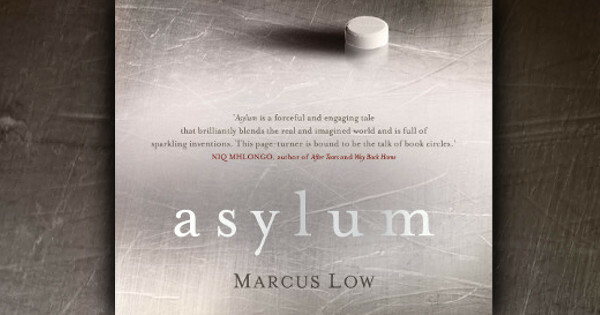 Marcus Low is a South African writer with extensive experience with tuberculosis through his work for the Treatment Action Campaign. His novel, Asylum, describes the adventures and thoughts of Barry Wilbert James, who suffers from a nodular lung disease — a thinly disguised case of advanced tuberculosis — who is in involuntary confinement for his disease. The treatment Barry and his fellow inmates are receiving does not seem to be effective. The story is set in the future around 2022 in a country not named but with clear references to South Africa, in a world that is falling apart because of climate change. Largely made up of the journal that James continues to write until his death, the story begins after James has already been confined in the Pearson Quarantine Facility for two years. ‘‘Asylum’’ is not perhaps the most evocative title for this book. The book is about involuntary detention or quarantine for a serious communicable disease such as multi-drug-resistant (MDR) tuberculosis (TB). My dictionary defines asylum as a refuge, a sanctuary, or alternatively, a place of confinement for mentally incompetent or unbalanced persons. James is none of those, nor has he sought refuge or sanctuary. Low, through the main character James, describes eloquently how it feels to be locked up in an unpleasing facility, surrounded by severely ill people who are often dying, with little diversion, in the middle of Karoo desert north of Cape Town. Through his severe symptoms, James is conscious of his own approaching death. The background for the book is the serious epidemic of tuberculosis, including drug resistant TB, still raging in South Africa. MDR tuberculosis remains widespread. The South African government declared TB a national emergency in 2004. The health system was and remains inadequate to deal with tuberculosis. Recent estimates place the overall effectiveness of surveillance, diagnosis, and treatment at less than 50 per cent in South Africa. And MDR-tuberculosis is extremely difficult to treat using the currently available medicines and protocols. One physician who was so treated said the experience was worse than living and dying with the disease. In the early 1960s, South African public health authorities developed an extensive program of involuntary quarantine that removed those with MDR-TB from their homes and incarcerated them in facilities that are often much as described in Low’s book. At its peak, the Ministry of Health detained 1700 people in substandard facilities, said to be similar to prisons, sometimes without treatment. This program led to an outcry, legal actions, and international criticism. Dr. Eric Goemaere, from Médecins Sans Frontières, called the program, ‘‘not effective and unacceptable to patients.’’ The 1996 South African Constitution holds that all legislation must be aligned with the bill of rights. Rights include autonomy and freedom of movement. Confined patients have usually lost their jobs and social benefits along with their liberty. As in James’ case, they seldom had visitors; those visitors who came had to wear masks, go through security measures, and could not touch their loved ones. One result of the outcry was improvement in the facilities and more community based treatment and care. This is James’ experience at the end of the book: the Pearson Quarantine Facility is closed, and the patients transferred to another facility. The international standard stipulates that quarantine should be voluntary and treatment provided in a community setting. Those who follow discussions about how to handle patients with MDR TB in the United States and Europe will be familiar with the Speaker case. A patient with MDR tuberculosis, who was counseled by heath authorities and asked not to travel, flew to Europe without being treated and exposed large numbers of people to the disease. This case promoted much discussion of the interface between patient rights, including the right to treatment, and the need to protect the public. This is a complex and difficult discussion — and one that continues. Thus, Low’s book is timely and important as it presents a human story behind untreatable infectious disease. Low places incarcerated people who have the dimmest hopes for the future and little consolation at the story’s center. Low movingly describes the mental state of Barry James in a way that seems entirely authentic. A compelling read! This work is licensed under a Creative Commons Attribution4.0 Unported License. The images or other third party material in this article are included in the article’s CreativeCommons license, unless indicated otherwise in the credit line; if thematerial is not included under the Creative Commons license, users willneed to obtain permission from the license holder to reproduce thematerial. To view a copy of this license, visit http://creativecommons.org/licenses/by/4.0/.